In 2016, Pennsylvania adopted the Medical Marijuana Act. For the first time, doctors are able to prescribe marijuana to address one of a number of serious medical conditions. Included in those conditions are PTSD, chronic pain and neuropathies, common medical problems of many people on workers compensation. HOW DO YOU OBTAIN MEDICAL MARIJUANA? There are some requirements before you can use marijuana to treat medical conditions. You must obtain and submit the necessary paperwork from a Department of Health registered doctor. Once approved, you receive an ID card from the Department of Health and are placed in their database. The patient can then obtain medical marijuana from a designated dispensary. 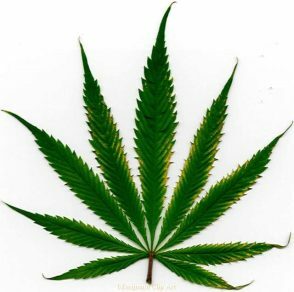 Street marijuana is not covered as medical marijuana. Additionally, medical marijuana can only be provided in certain forms, including pill, oil, liquid, gel, cream, ointment and in a form suitable for vaporization or nebulization. It is important to note that marijuana in a form that can be smoked is not provided for under the Act. The question remains does workers compensation cover a prescription for medical marijuana? The answer, unfortunately, is not so straightforward. It depends on the insurance company. Given the addictive nature of opioids, it would benefit many insurance companies to pay for medical marijuana prescriptions. Only five states require insurance companies to pay for medical marijuana and Pennsylvania is not one of the five. However, insurance companies are required to pay for medical expenses caused by your work injury that are necessary and reasonable. Therefore, if marijuana is an appropriate form of treatment for your injury, the insurance company could be forced to cover the expense. This area of law is still being determined. So, it is important to get an attorney to fight for your right to receive medical marijuana if it is necessary for the treatment of your injury. At the Law Offices at Thomas More Holland we are here to help you. If you have questions concerning medical marijuana and workplace injuries contact us at 215-592-8080. We are legal one stop shopping for you and your family.